Get your party guests fired up for fun with this PAW Patrol Pinata. 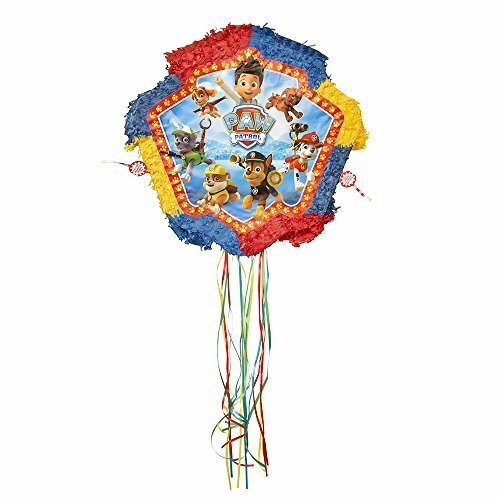 Featuring an image on both sides depicting Ryder and the PAW Patrol ready for their next Ruff-Ruff rescue, this pull sting pinata is an exciting party activity for your child’s birthday party. Fill our birthday party pinata with up to 2 pounds of candy and party favors and have guests take turns pulling one of the 12 strings to find the one that will release the goodies. When not being used as a party activity, this pinata doubles as a fun party decoration.